Without effective treatments, one in three children born today will die with dementia. 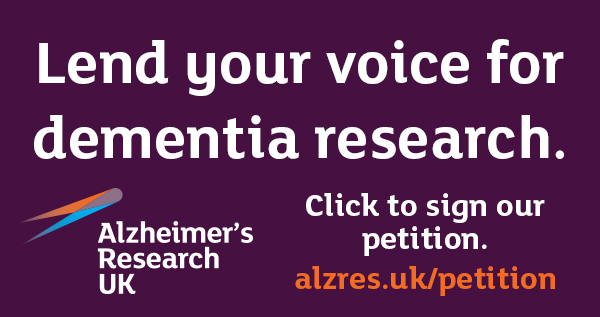 Today, there are no dementia survivors but research can change this. Alzheimer’s Research UK is the UK’s leading dementia research charity, dedicated to causes, diagnosis, prevention, treatment and cure. Backed by our passionate scientists and supporters, we’re challenging the way people think about dementia, uniting the big thinkers in the field and funding the innovative science that will deliver a cure. With your support, we’re working across four key areas of action. Understand the diseases that cause dementia. Diagnose people earlier and more accurately. Reduce risk, backed by the latest evidence. Through these important strands of work, we’re bringing about breakthroughs that will change lives. Download our mission booklet to read more about our ambitions and how you can help them become a reality. Find out about the world class studies that give us the best chance of overcoming dementia sooner. Every pound you raise helps us power even more research that will make a difference to people's lives.